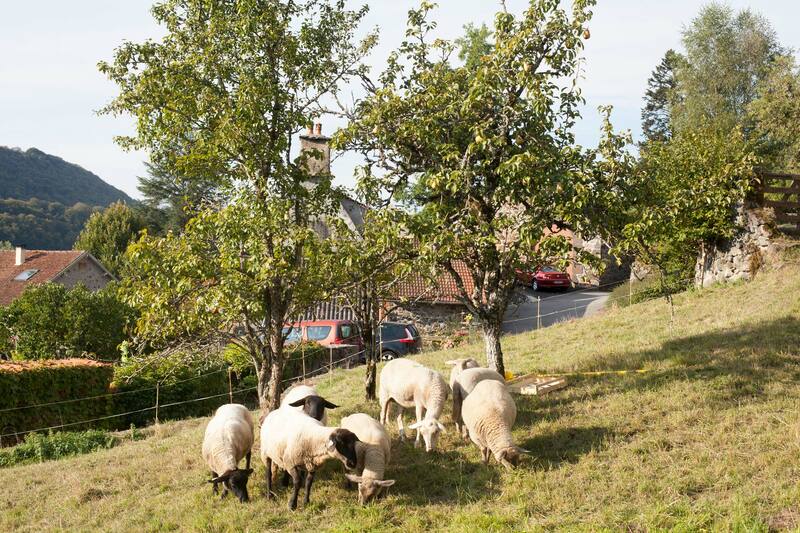 Late September, I picked pears in a neighbour’s garden who had put sheep in their orchard to eat the grass. Photo 25 September, Saint-Simon, France. … and determined candidates to eat them underneath. 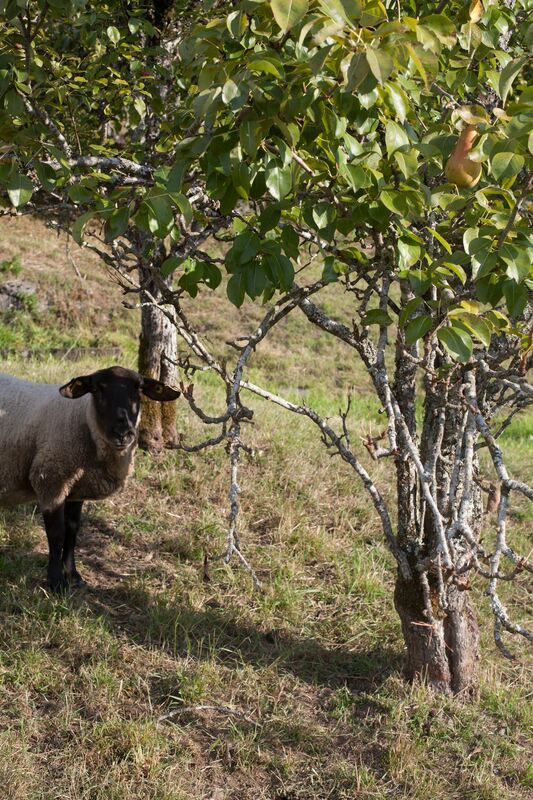 I was busy using my fruit picker when I heard a noise… A few second’s lack of alertness and that was it, a sheep had bitten the biggest pear. 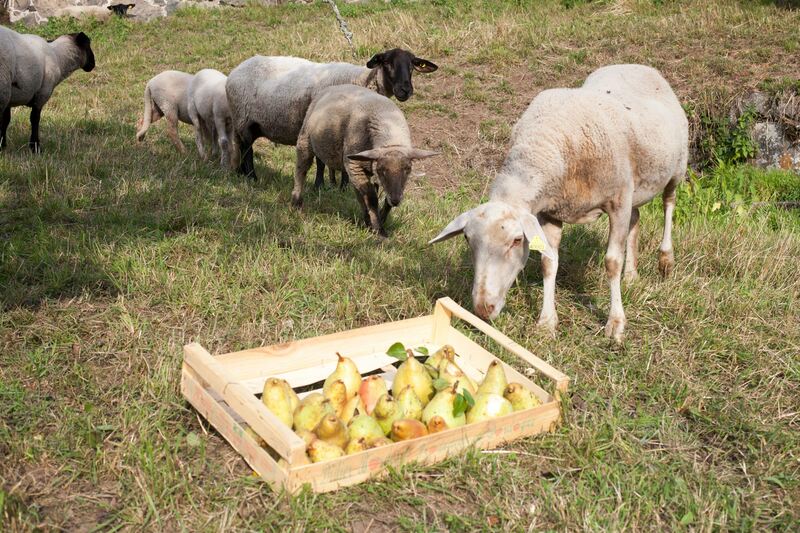 I didn’t know sheep could be that keen on pears. I got back two meters to observe what would happen. 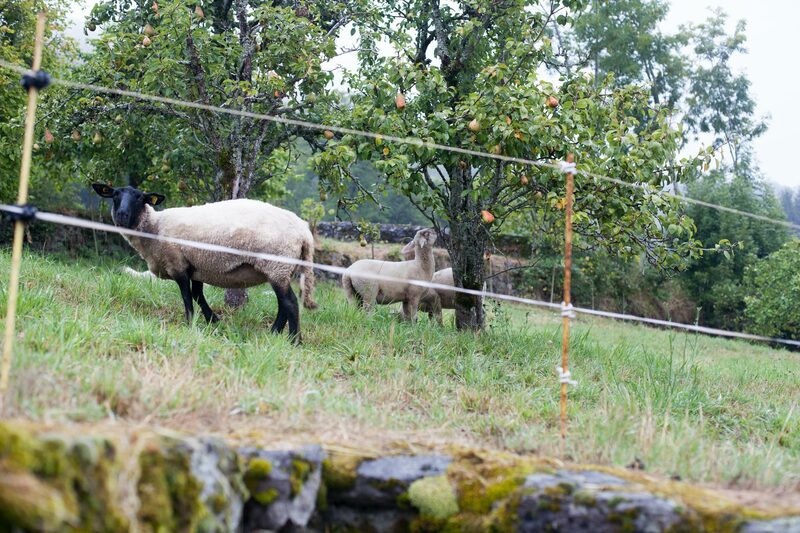 Seconds later, a bold ewe came close and I just had time to take this picture before chasing it away. But they wouldn’t go. During the whole pick they stayed close, waiting for a moment of weakness on my side. 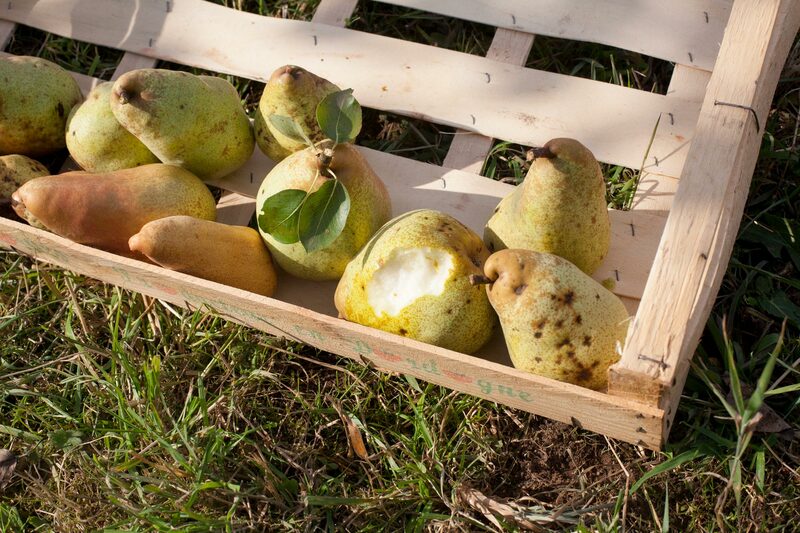 As a friend told me, they probably thought the pears were theirs! 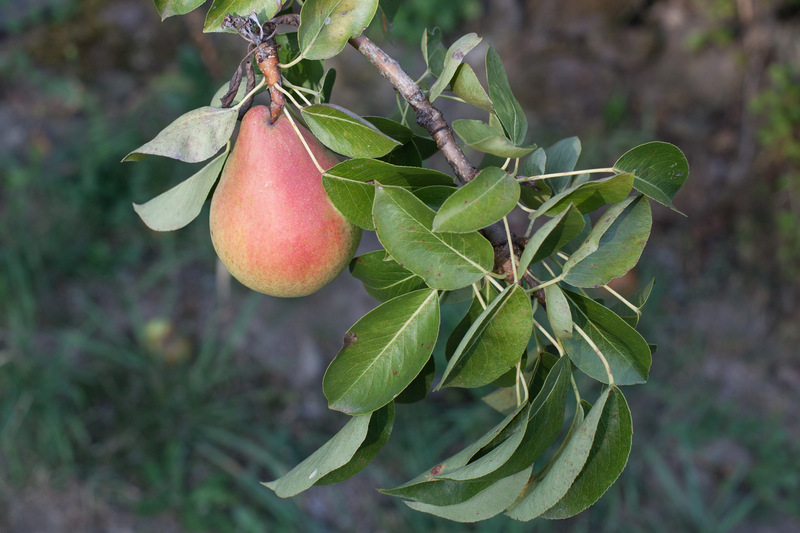 They eat low leaves and fruit… Photo 18 September. … As high as they can go. It is better to be aware of this if you have low trees! Photo 25 September. 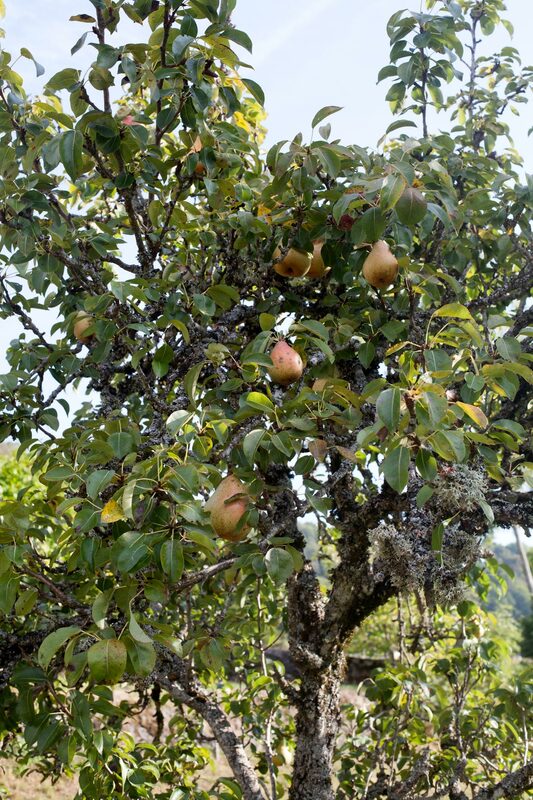 Fortunately, we saved most of these beautiful pears. 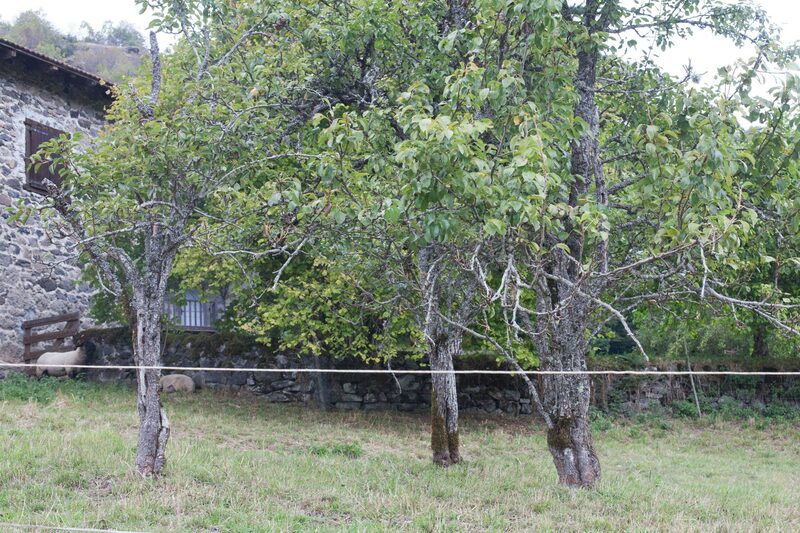 This one was in another part of the orchard, inaccessible to the sheep. Photo 1 September.